Are the barriers between software and hardware coming down? 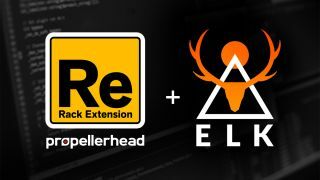 Propellerhead is the latest company to join forces with Mind Music Labs, developer of the ELK music-specific operating system. Thanks to the new partnership, it’s now possible for developers to integrate Propellerhead’s Rack Extension plugins into hardware synths and effects that are powered by ARM and X86 processors. Based on Linux, the ELK OS promises low-latency performance similar to that of dedicated DSP chips. Instruments and audio processors that use it can be upgraded with new plugins and connected to external controllers. You can find out more about the ELK OS on the Mind Music Labs website.